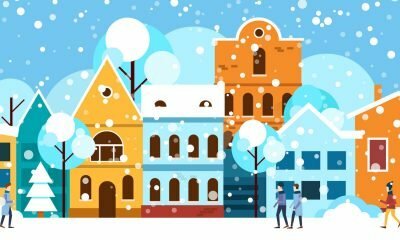 Frozen water pipes are one of winter’s hazards – but you can avoid them with a little planning and a few simple steps. When cold arctic air arrives, water freezes. As it freezes, it expands. This expansion is what bursts pipes, leading to flooding. The pipes most likely to burst are those exposed to severe cold, such as outdoor hose attachments, swimming pool and lawn sprinkler supply lines, and water supply pipes in unheated interior areas. Pipes also can be susceptible to freezing if they run against exterior walls with little or no insulation. Every member of a household should know where the house’s water shut-off valve is and how to use it. To locate this valve, find the outside water line that leads to the residence. This line usually flows directly from the water meter to a location inside the residence. Likely locations for the shut-off valve include internal pipes running against exterior walls or where water service enters the home through the foundation. 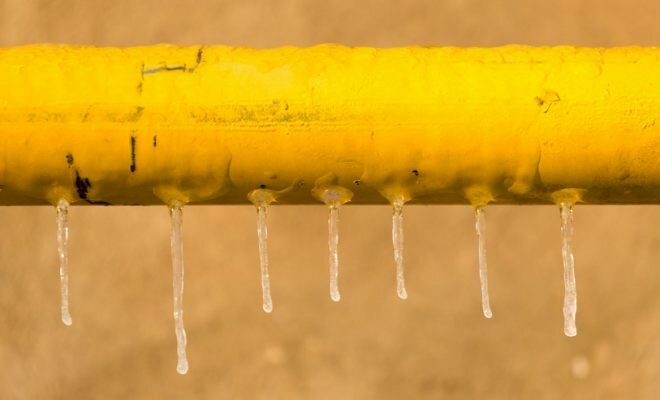 Before cold weather arrives, prepare your water pipes. Drain your swimming pool and lawn sprinkler supply lines according to the manufacturer’s or installer’s directions. Do not put antifreeze in these lines unless directed. Antifreeze is environmentally harmful and is dangerous to humans, pets, wildlife, and landscaping. Drain and store garden hoses used outdoors. Close the inside valves that supply the outside hose attachments. Then open the outside hose taps to allow water to drain. Keep the outside valve open so that any remaining water can expand without breaking the pipe. Check around the home for other water supply lines located in unheated areas. Look in the basement, crawl space, attic, and garage, and under kitchen and bathroom cabinets. Both hot and cold water pipes in these areas should be insulated. 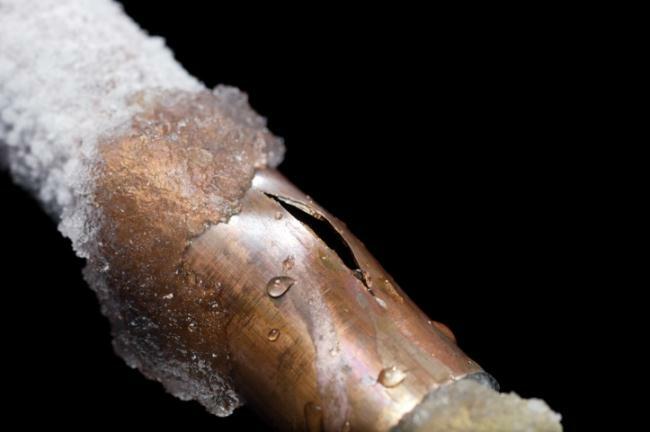 Even a hot water supply line can freeze if water isn’t running through it when the temperature drops. Consider insulating exposed pipes with products such as a “pipe sleeve” or UL-listed “heat tape,” “heat cable,” or similar materials. Many of these products are available at home improvement stores. You should carefully wrap pipes, with ends butted tightly and joints wrapped with tape. Follow the manufacturer’s recommendations for installing and using these products. If you can’t locate these products, newspaper can provide some degree of insulation and protection for exposed pipes. During cold weather, take precautions. Open kitchen and bathroom cabinet doors to allow warmer air to circulate around the plumbing. 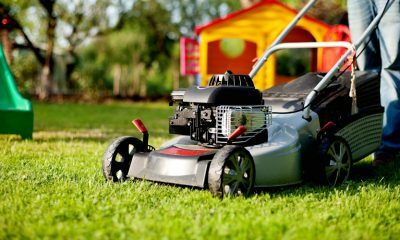 Be sure to move all household chemicals out of the reach of children and pets. When the weather is very cold, let the cold water drip (at a minimal amount) from any faucet that is served by exposed pipes. Even a trickle of running water helps prevent freezing. During extreme cold, keep the thermostat set to the same temperature around the clock. If you plan to leave for an extended period, set the heat no lower than 55ºF (13°C). If pipes freeze, thaw them. If your house or basement is flooding, turn off the water shut-off valve and call 911. If there is no flooding but you turn on a faucet and only a trickle comes out, make sure the shut-off valve is turned on. If it is, you may have a frozen pipe. Locate the suspected frozen area of the pipe. As you treat the frozen area and the ice begins to melt, water will begin to flow. Running water through the pipe will help melt more ice. Use a heat gun, heat lamp, electric heating pad, electric hair dryer, portable space heater, or towels soaked in hot water to apply heat to the frozen pipe. Keep electrical devices away from water and keep all heat sources away from flammable materials. Do not use a blowtorch, kerosene or propane heater, charcoal stove, or other source of open flame. Keep the faucet open. Apply heat until full water pressure is restored. If you are unable to locate the frozen area, if the frozen area is not accessible, or if you can’t thaw the pipe, call a licensed plumber. Check all other faucets in your home for additional frozen pipes. If one pipe freezes, others may also freeze. Think ahead when you remodel. Relocate exposed pipes to provide increased protection from freezing. To maintain higher temperatures, add insulation to attics, basements, garages, and crawl spaces. Consult a licensed plumber or building professional before making changes. This post was adapted from material posted by the city of Boulder, Colorado. For additional information on frozen pipes, visit the American Red Cross and DIY Network.